Sincerest apologies Ralph Lauren, but I have to admit I have disliked the classic collared, three-button polo shirt for many years. Can Stella McCartney, Vivienne Westwood and Xander Zhou change my mind in 2019? Usually a brassy polyester banner of sartorial indifference, a misplaced symbol of some sort of polished schooling involving horses, yachts or rowing, or simply a sign you’re hanging with dad and whacking a white plastic ball around a vast green manicured lawn for hours—it’s a strong vibe, and it’s never been for me. But as fashion is so predictably prone to do, what’s unfathomably uncool is eventually pushed to the outskirts of the style universe, where it becomes sought after all over again because being cool is about being on the perimeter, out of reach and on the edge. So here we are: cargo pants, chunky sneakers and now, even polo shirts are a thing. The polo had a strong presence at the S/S ’19 shows—and not the classically preppy places you’d expect to. 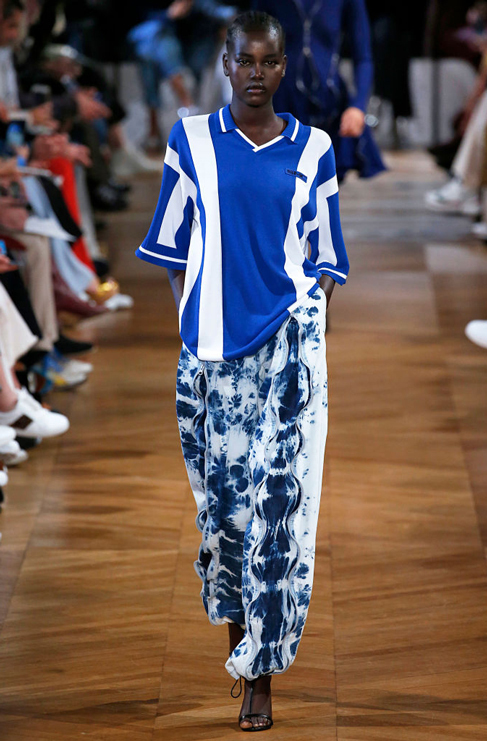 Fila had a checked version in its signature red and navy, there was a long shirt-dress style at Westwood, striped rugby jerseys for Zhou and a sporty soccer version on Stella McCartney’s runway. Whether you go in strong or sporty, this is more London grunge than it is collegiate or Tiger Woods. Are you to take a deep dive on the dorky dad trend? Here are a few of our favourite new season polos to splash out on now. Oh and as for popping the collar on your polo? We'll say no—for now, anyway. 1. EDITOR'S PICK: Menswear cult favourite and London local, Martine Rose is leading the charge for a segment of 90s revival that's distinctly London: UK garage, clubbing, rave culture and drum and bass. The polo shirt lived well here, along with bumbags, tracksuits and Burberry knock-offs. Try this Martine Rose red and green striped long sleeve polo, approximately $215 at Ssense. Chaka, Chaka, Chaka, Chaka Khan !! �� AW18 Polo Shirt featured in the new Chaka Khan ‘Like Sugar’ video! 2. 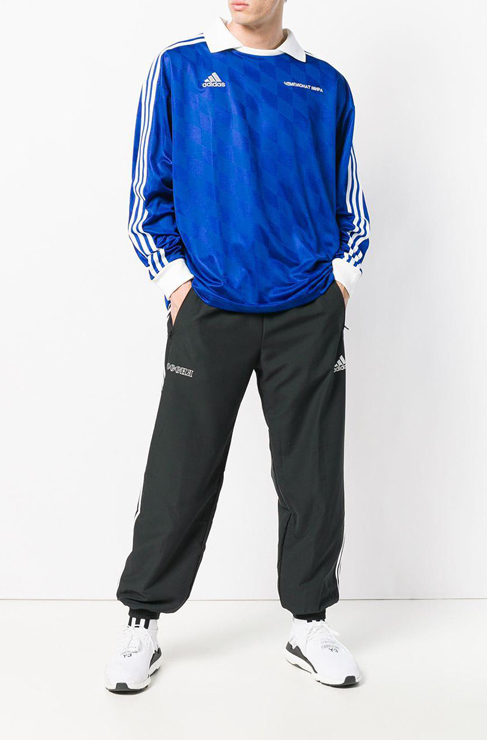 Gosha Rubchinskiy x adidas Football long sleeve polo shirt, approximately $149 at Farfetch. 3. Brashy Studios White Logo polo, approximately $77 at Brashy Studios. 4. Gucci polo shirts, from $650 at Gucci. 5. Incu Collection navy and pink polo, $97.50 at The Iconic. 6. 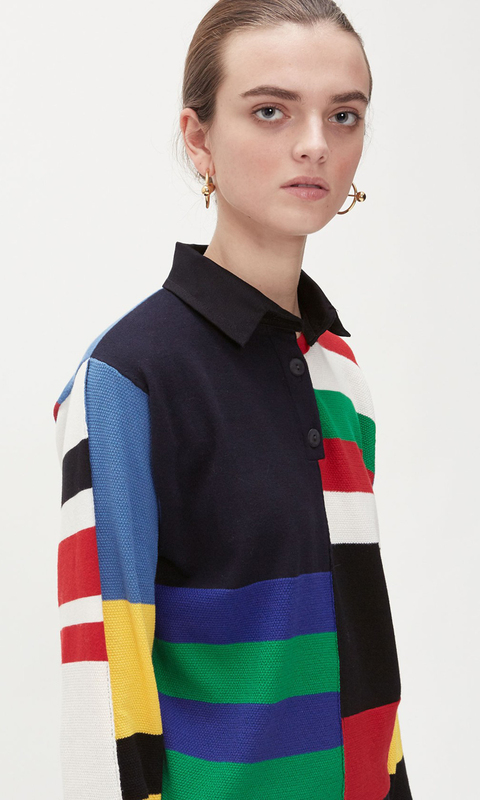 Alexander Wang cropped rugby stripe shirt, approximately $830 at Shopbop. 7. 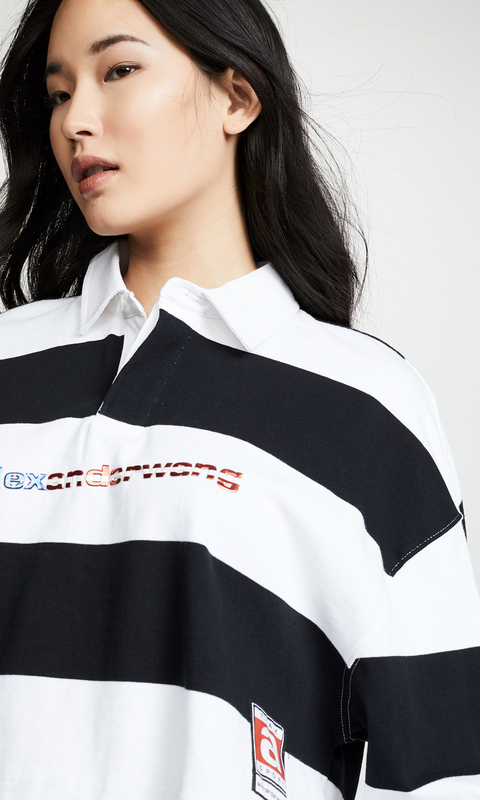 JW Anderson knitted stripe rugby, approximately $1,049 at HBX. Make a case for the season's best, bravest and most brazen trends with us, here.